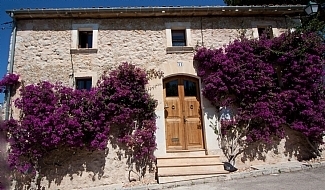 Our beautiful villa, nestled in the heart of Northern Mallorca could be your perfect cozy winter get away or sunny summer retreat. 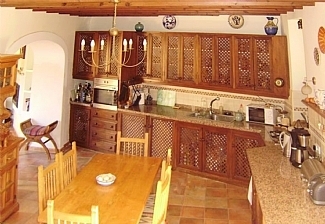 Situated in close proximity to the town center you can enjoy the unspoilt, traditional charm of Campanet. With a fantastic mountainous scenic backdrop and superb countryside, Campanet is a haven of tranquility that can be enjoyed by visitors all year round. 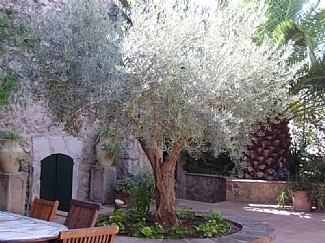 Our villa is a 5 minute walk to the historical town square, where visitors can experience the warm and hospitable charm of the local bars and restaurants. There is a great supermarket in the town center and a weekly market for those wishing to sample the fresh local produce. For those wishing to dine "al fresco" our villa boasts a large lower terrace in abundance of beautiful surrounding foliage with a built in BBQ area. 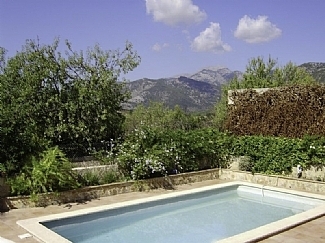 Guests can also enjoy a private swimming pool on the upper terrace with an adjacent bar area. By night, the terrace is the place to unwind and enjoy the perfection of a clear night sky.